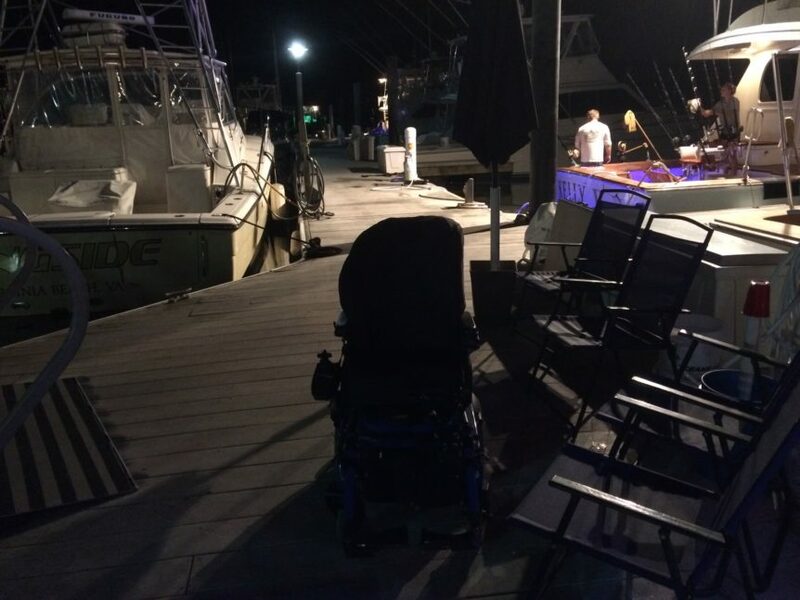 I left my wheelchair on a dock. I parked it there for a few hours. Before I jumped back in it (well, before my dad helped me get in), I looked at it. I mean, really took in what I was seeing: an empty wheelchair. 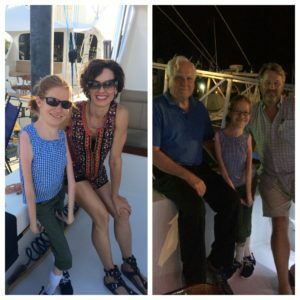 The wheelchair couldn’t go on our friends’ boat. So it stayed on the dock while we enjoyed dinner. Because the wheelchair only goes so far. Not every adventure is accessible. Not everything I do happens from my chair. I am mobile. I can stand up, as many of you know…from being my friend or being my family (or reading posts like this one). I’m not confined to my mobility equipment, but I do need help along the way. The wheelchair only goes so far. This theme was on my mind as we rode home from the night on the boat. I have many moments beyond the chair and I thought of another one that happened the same month. My wheelchair stayed home. 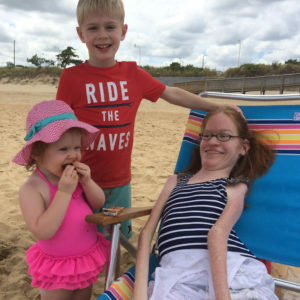 Some chairs are made for the sand, but not your standard wheelchairs with standard wheels. I rode with a friend and she carried me from the vehicle to the beach. We met my sister-in-law, the niece and nephew, and their friends. It was a team effort to help me that day. Walking on the sand is very tricky, especially after taking my leg braces off. And waves can knock me over in an instant. That didn’t happen though. I had people right there, holding me up and helping me enjoy another summer adventure. The nephew splashed and swam in front of me. The niece jumped up and down, grabbing my hand and floating between me and her mom. Her face had the look of joy. I smiled and absorbed the moment for as long as I could. Both made me thankful for my family and friends, these people I know and love, and the things we do or the places we go. Sometimes the best moments are the ones when you leave the chair behind. The wheelchair only goes so far. The people in your life can take you further.